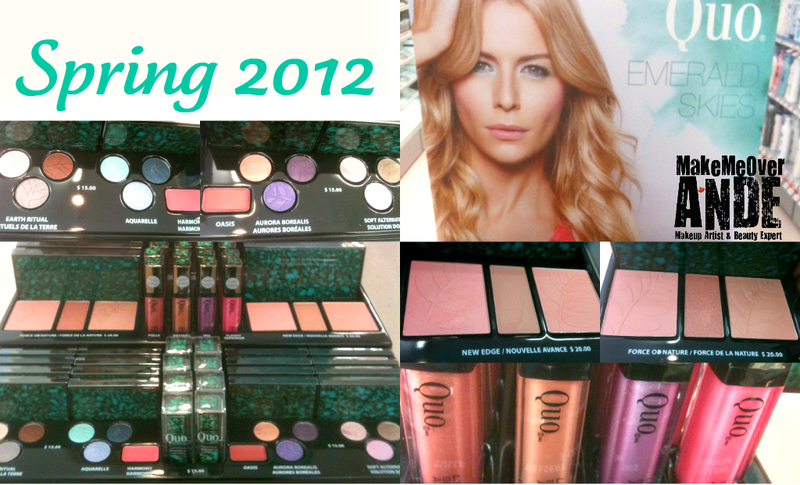 Another great spring collection, this time we have QUO Cosmetics Emerald Skies. The packaging is a beautiful teal/green with black almost looks like stones or granite. Very shiny finish and nice weight to it. Sometimes I feel the heavier the package the more luxurious lol...do you? QUO Cosmetics is available ONLY at Shoppers Drug Mart and is always a fast seller.